I went and got a little 3 1/2 x 5 1/2, baby Moleskine journal. It’s so cute! I wanted something small to carry around in my purse that would be mainly for writing and sketching. I really love having different sizes to work in, and also different papers. I still love the Watercolor Field Notebooks for good old messy, painty journaling, but love the smooth, heavy sketch paper in the Moleskines. I think it’s important to vary the size of page you work on. 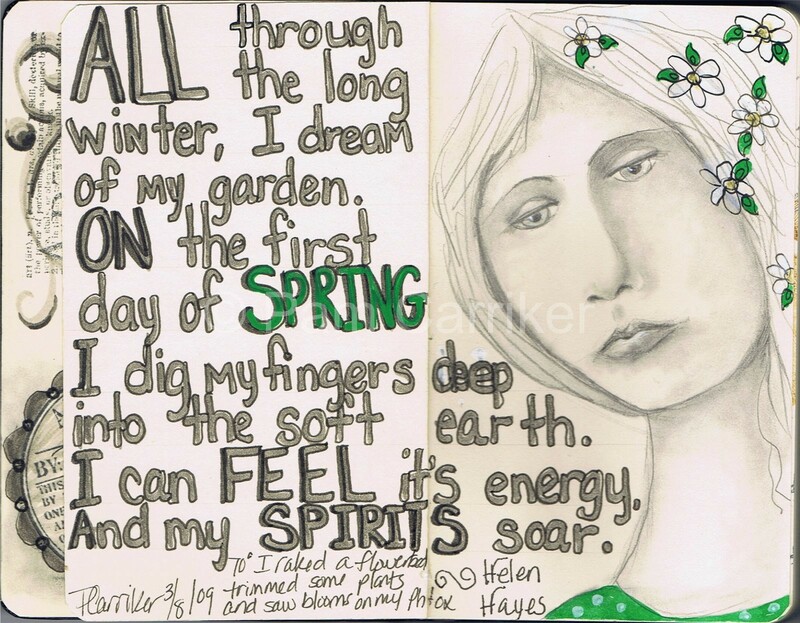 It helps to stretch that creative muscle, which is what journaling is all about. I was so loving the warm sunshine today. I even got to play in the dirt a little bit! My phlox already have some blooms, so I know Spring is truly on it’s way. This week I am finishing up the videos for the Shades of Grey Workshop. I hope to see many of you joining me on this new adventure! I just ordered the BIG Pitt Artist Brush Pens, in the warm greys, can’t wait till they get here! Oh I so can’t wait until next week! Finally ordered my new Moleskine! Love love love the spring page! Thanks for sharng! I am almost finished with my first Moleskin. 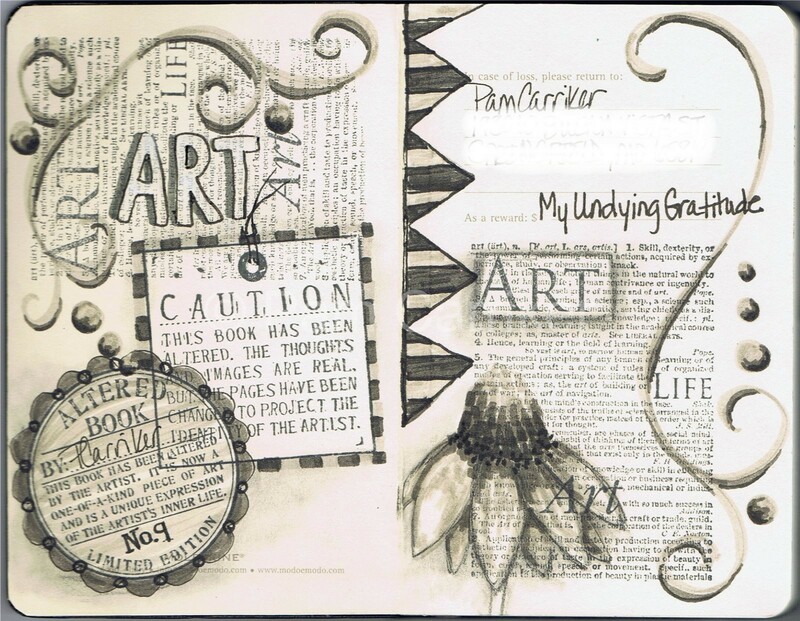 I love your pages…the shades of grey are fantastic!! I’m looking forward to the Shades of Grey class! I love my moleskin too! Hand Books are nice too. Yep,can’t wait to get my pens and start this new class…(((hugs)))I haven’t tried a journal that small, but have gotten into a huge one..hehhe!! I would never have guessed that was a little Moleskin! I love it..and great idea to have multiple sizes for different places. I can’t wait for the Pitt Pen class, coming up soon… and will be ready to go. I love your journal pages! Beautiful!